One bike for SM and MX...but which one? Dirt tyres on motard rims? Dual sports? '13 CRF250L 18" front tire?? SM rims for my 07 CRF250R? How Much is Too Much??? cast wheels on crf450 ? Magura Radial kit on an 09 CRF 450 possible? Mount speedo sensor with Trailtech kit???? Just curious, anyone ever ride a Husky? lowering the rear n lenghting the trail of bike? over size valves for the 450r sm? stm motard slipper clutch spring rates? 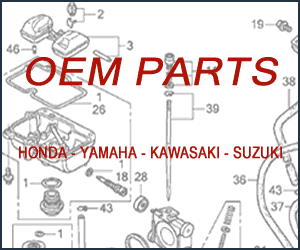 We are a community dedicated to the owners of Honda off-road dirt bikes and specifically the Honda CRF models. We are dedicated to increasing and sharing information, expertise and product knowledge to increase the enjoyment of riding and owning Honda off-road dirt bikes. Copyright 2016-2017 © CRF's Only Forums. All Rights Reserved.